What is the best way to communicate law? Written law has its limitations, because we are all familiar with the concept of the “loophole.” There always seem to be methods of interpreting the written law in ways that run contrary to its intent. In West Virginia, which is across the river for us in Steubenville, they passed a law a few years back allowing cafés to operate some small-time gambling on their premises. The idea was to allow owners of small eateries a sideline to supplement income during a tough economic time. Well, now dozens of new “cafés” have sprung up in the old steel towns on the other side of the river, and if you walk in and ask for a cup of coffee, they scarcely know what to do. The “café” title is just a front for a gambling operation. What was intended to be small time side business has become the whole purpose of these establishments. This was not the intention of the law, at least not how it was “sold” to the people and legislature. One of the themes that arises from this Sunday’s Readings is Jesus as the embodiment of the law, who gives himself to us, that God’s law may be inside of us. Obviously we are in the season of Lent, and the First Readings from the Second through Fifth Sundays in Year B progress through some high points of salvation history as we move toward the cross: Covenant with Abraham (Gen 22; 2nd Week), Covenant with Israel at Sinai (Exod 20; 3rd Week), Breaking of the Covenant and Exile (2 Chr 36; 4th Week); the Promise of a New Covenant (Jer 31; 5th Week). Alongside this progression, the Gospel moves through some pivotal events in Christ’s life of ministry (mostly in the Gospel of John) that anticipate and lead up to his passion, death and crucifixion. The First Reading progresses through salvation history; the Gospel progresses through the life of Christ. There is not a tight integration of the First Reading with its proper Gospel, but nonetheless interesting and provocative combinations are created which give rise to interesting perspectives on the Readings. The combination this Sunday helps us see Jesus as the incarnation of God's Law. who brought you out of the land of Egypt, that place of slavery. you shall not bow down before them or worship them. on the children of those who love me and keep my commandments. "You shall not take the name of the LORD, your God, in vain. the one who takes his name in vain. "Remember to keep holy the sabbath day. but the seventh day is the sabbath of the LORD, your God. or by the alien who lives with you. but on the seventh day he rested. That is why the LORD has blessed the sabbath day and made it holy. which the LORD, your God, is giving you. You shall not covet your neighbor's house. nor anything else that belongs to him." Americans tend to have a very negative attitude toward law, as if all law is just restriction. So it is necessary to explain how law fits into a positive relationship with God. The relationship with God the people of Israel entered was called a covenant, which can be defined as “the extension of kinship by oath” (so Gordon Hugenberger, in his Marriage as Covenant). So by a “covenant” God invites Israel into his family. That is why they have a family meal together after the covenant is solemnized (see Exod 24:9ff). The Ten Commandments are, then, the “family rules” for living in the Family of God. They give three basic principles for our relationship with the Father of the family; and seven rules for our relationship with our siblings. This is meant to help the family live in peace. Interestingly, all traditions of Judaism and Christianity agree that there are ten commandments, but there is variation on how to number them. Jews, followed by Protestants, count four commands directed to God: (1) No other gods, (2) No graven images, (3) Honor the Name, (4) Remember the Sabbath. These are followed by six commands directed toward others: (5) Honor parents, (6) Do not murder, (7) Do not commit adultery, (8) Do not steal, (9) Do not lie, and (10) Do not covet. In the Catholic tradition, there is a set of three: (1) No other gods, (2) Honor the Name, (3) Remember the Sabbath; followed by seven: (4) Honor parents, (5) No murder, (6) No adultery, (7) No stealing, (8) No lying, (9) No coveting wives [i.e. no lust], (10) No coveting goods [i.e. no greed]. The Catholic enumeration of the commands fits better the listing in Deuteronomy 5:1-21, whereas the Jewish/Protestant system works better for the passage above. In the end, all traditions hold to the same content of the laws. The Ten Commandments are a basic summation of what we call the Natural Law, that is, the fundamental principles on which God built the world. The Ten Commandments tell us how the world works, or to put it another way, how to behave in such a way as to flourish in the world that God created. 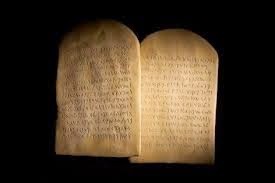 With the exception perhaps of the Sabbath command, most of the Ten Commandments can be paralleled with moral laws of other world religions and with the moral principles discovered by ancient civilizations and philosophers. They are mostly common sense. Nonetheless, it is amazing how counter-cultural and "politically incorrect" the Ten Commandments have become in the developed West. We have the New Atheists insisting there is no God, while the rest of culture makes idols of money, sport, celebrities, sexuality, drugs, etc. If God's name is mentioned in public, it's usually in an act of profanity, and there's not even a remnant of the old practice of closing shops and cancelling events to give people one day off a week to worship. Killing is popular and legal in the form of abortion and euthanasia, and glamorized on TV. Dan Savage and other media personalities are telling us that adultery is good for society. The government steals from the public via unfair taxation, and the public steals back with fraudulent tax returns. Politicians, scientist, and journalists routinely fabricate, twist, distort, manipulate the facts, all various forms of lying. And public advertising is based on arousing people's lust and greed. We have a society based on the violation on the Ten Commandments. Are we happy yet? Although they are broad, the Ten Commandments do not explicitly cover every possible moral circumstance, and they require further interpretation and elaboration. 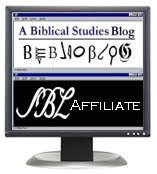 We find elaborations and applications of the Ten Commandments in the various law codes of the Pentateuch: in Exod 21-23, Leviticus 17-25, and Deuteronomy 12-26. However, as we will see below, the elaborated laws had “loopholes” that were later exploited in violation of the basic principles of the Ten Commandments. R. (John 6:68c)Lord, you have the words of everlasting life. R. Lord, you have the words of everlasting life. Truly we do need God’s law to gain wisdom; even to gain common sense! Although we ought to be able, by the light of human reason, to figure out what is morally right and wrong, in actual practice, when we reject God’s revelation, we end up getting blinded to common sense morality. This was brought home to me in striking way this past week as I watched an excellently-made move, The Way Back, which dramatizes the true-life story of three men condemned to one of Stalin's Siberian gulags in the aftermath of World War II, but who managed to escape and walk all the way to India to gain their freedom. The portrayal of Stalinist Russia was paradoxical. Although the communist movement had taken over the nation ostensibly on a mission to right wrongs—particularly economic disparity—the complete contempt of human dignity that derived from their atheist, materialist worldview created a radical dystopian society in which the most honest and innocent persons were killed immediately, and everyone else had to lie and cheat to survive in the system. It didn't seem to bother Russia's leaders that they were imposing death, fear, and/or misery on most of the populous in order to produce their "utopia." One wonders why they didn't ask the question: Why does the path to happiness require killing, torturing, and imprisoning so many common people? Without the light of God’s revelation, we can become blind to even the most common sense issues of morality. Thank you, Lord, for your Law, which keeps us from descending to the level of brutes and animals, which teaches us to live with dignity appropriate to rational and spiritual beings, to Children of God. Jews were religious people who wanted miracles, signs of God’s power. Greeks were intellectuals who wanted a sophisticated philosophy. For both, Jesus Christ didn’t make sense. His teachings weren’t elaborated philosophically in a way that please Greeks, and his central miracle—his passion, death, and resurrection—wasn’t the kind of “sign” the Jews were expecting from their Messiah. Jesus went up to Jerusalem. as well as the money changers seated there. and stop making my Father's house a marketplace." Zeal for your house will consume me. "What sign can you show us for doing this?" "Destroy this temple and in three days I will raise it up." and you will raise it up in three days?" But he was speaking about the temple of his body. and the word Jesus had spoken. when they saw the signs he was doing. and did not need anyone to testify about human nature. He himself understood it well. Christ enters the Temple, then, as a sort of “embodiment of the Law.” Although the written code could not put an end to the abuses against divine law that were taking place, Christ, who is the Law in the flesh, put an end to it personally. Written codes have loopholes, but persons do not. Spiritually applied, Christ does the same for us, because each of us is “the Temple of the Holy Spirit.” When we receive the sacraments in docility and faith, Christ enters and “cleans up” our Temple—especially through the sacrament of Reconciliation, to which we should have frequent recourse during this season of Lent. In the Gospel of John, this account has a very important role. Coming near the beginning of the Gospel, it foreshadows and announces Christ’s passion and resurrection (“destroy this temple and I will raise it up”) at the start of the story of Christ’s life, so that all that unfolds in the rest of the Gospel does so with an eye to the cross. Also, by identifying his body as the “temple,” Jesus is claiming to be the fulfillment of salvation history and all the covenants, because that’s what the Temple was for the ancient Jews. A few chapters later (John 6), our Lord will speak of given us his body to be eaten, which suggests that we, in turn, are also incorporated into God’s Temple. The First Reading was the Ten Commandments, the rules for Israel to become God’s Family. In antiquity, the family of the king was called his “house,” as in the expression, “House of David” (Isa 7:13, Jer 21:12). So the people of God became the “House of God” in the sense “Family of the God.” But in this Gospel shows us the way the people of God will become “House of God” in a different sense: as a Temple (see Eph 2:19-22). All who have “zeal for the house of God” will “consume him,” and become both family and Temple of the Lord. In the context of Lent, the Readings for today are calling us to allow Jesus to cleanse us, because we are the Temple of the Lord. Let's resolve this week to use the Ten Commandments as a form for a good examination of conscience on how "clean" our interior Temple is, and then make plans to receive the Sacrament of Reconciliation before next Sunday! Thank you. I've been looking for a better way to prepare for Sunday Mass. This site is a real gift. God bless all y'all.